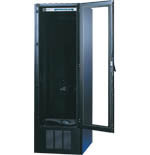 The Liebert MCR (Mini-Computer Room) is a self-contained rack enclosure system that includes a load-sized, computer-grade air conditioner located at the bottom of the enclosure, with the option of a top mount design, supplying cool air to sensitive equipment on all levels. A back-up cooling system ensures environmental security. 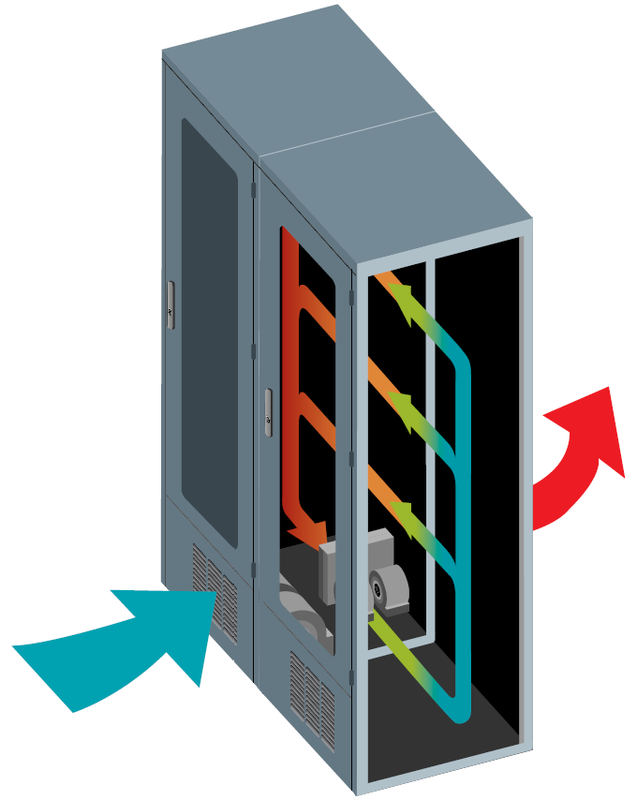 Power can be supplied and protected through an optional Liebert GXT on-line UPS or Liebert PSI line-interactive UPS. 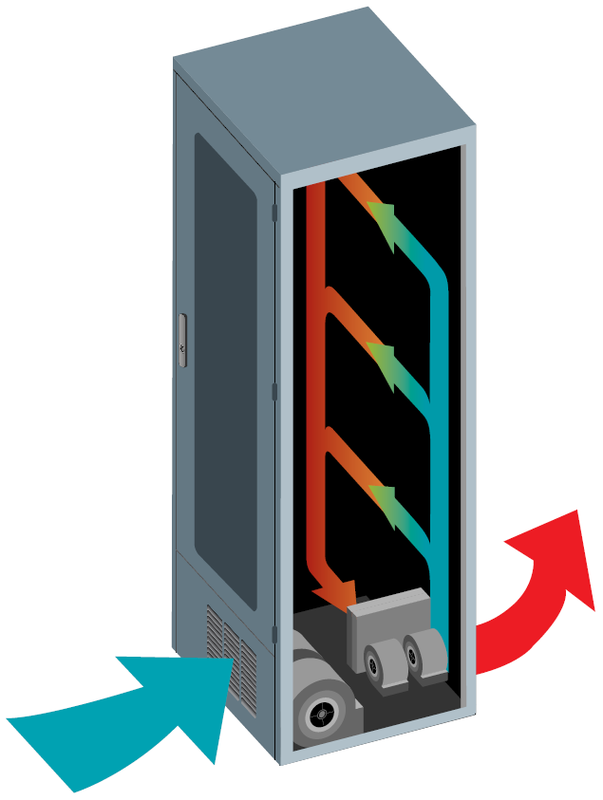 Back-up cooling assures continued cooling in the event of a powerloss. 42U’s Vision is to inspire corporate responsibility in energy efficiency and be a leader in providing technology and vendor agnostic information, suggestions, and solutions for making data centers more energy efficient. 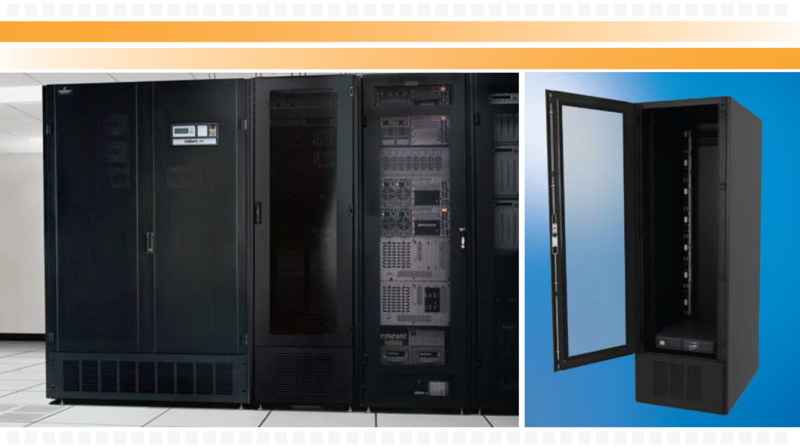 The integrated ECM enclosure design promotes the best air circulation to prevent hot spots within the enclosure. Inside and outside air are isolated for maximum cleanliness. 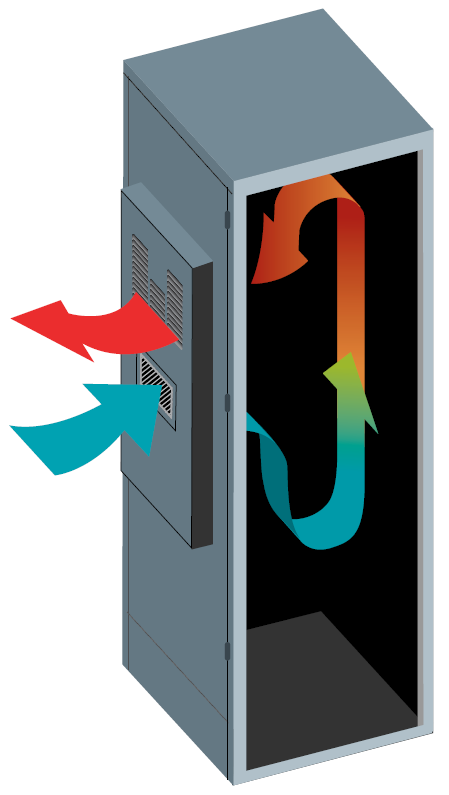 During high internal temperature or power outage conditions, the BCM (Back-Up Cooling Module) — powered by the enclosure’s UPS — is automatically activated, drawing in filtered outside air to ensure continuous air flow to protected equipment. 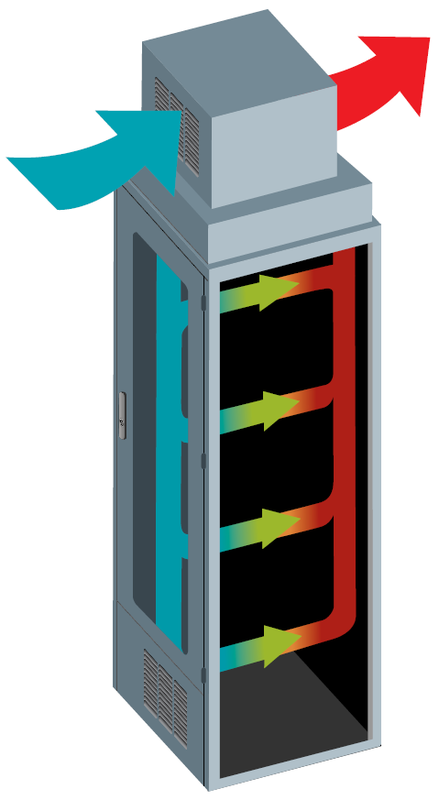 Exclusive ECM conditioned air distribution duct ensures uniform air flow for multiple enclosures. 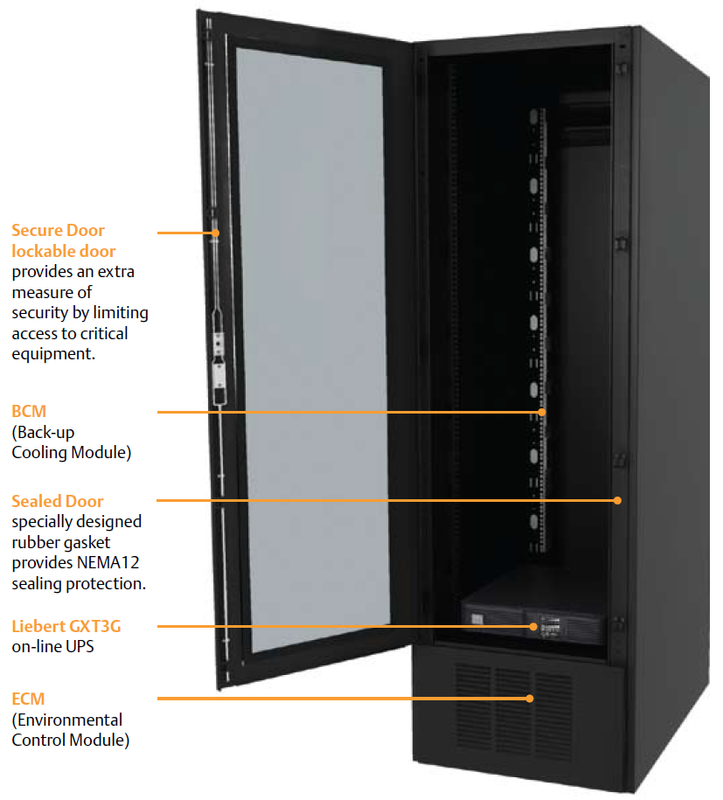 The top mounted ECM allows maximum use of internal rack space or can be used with the internal/rack mount ECM to double cooling capacity.